Claims of an esoteric knowledge has been kept from the majority of humankind around the world cultures for countless years according to the research of many accredited scholars. Researchers have uncovered and postulated the feasible origins and attributes of this ancient knowledge, which currently most of us have been sheltered from it’s insights and are now just coming into the possibility of these ancient realizations. Researchers and authors like Charles Fort, Zecharia Sitchin, Erich von Däniken, Robert Temple, David Icke, Richard C. Hoagland, Graham Hancock, Robert M. Schoch, Robert Bauval, John Anthony West, Charles Hapgood, and many others have led the way to having a serious discussion on opening a consciousness, and re-questioning our conception of human origins, along with alternative theories into what we now think may be possible. In recent years, we have expanded our previous understanding, we have introduced new technologies that have advanced our present understandings, having therefore introduced a “secret history of humankind” or an “Alternate view of human history”, which is being questioned, referenced and disclosed to the public to see these interpretations of our human history. 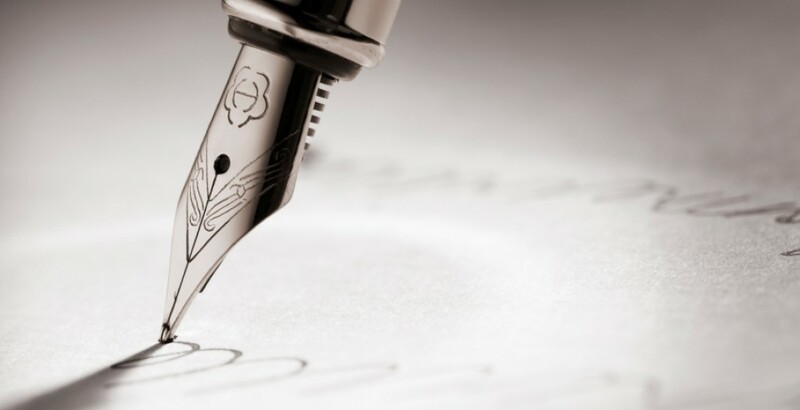 Much controversy has arisen and will contribute to the problematic claims made by some of these authors due to their methods of data collection, the interpretation of this data, and the media sources giving us false information, or disinformation. This also includes the unpopular scientific community that does not allow for any paradigm shifts within their own fields of study to propagate their own dogmatic theories such as the classic example of Darwinism. The idea of pre-Deliuvian ancient advanced civilizations has been raised from sources dating back to the Sumerian Texts, The Epic of Gilgamesh, The ancient Vedic Hindu texts, Egyptian Hieroglyphs, The Mayan calendars, as well as the accounts of the Greek philosopher Plato on his reference of the Atlantis tale. If indeed there has been a history of lost civilizations due to the changes in the earth from past epoch’s and cataclysmic upheavals due to events like magnetic pole shifts or other 26,000 year events inclusive in the Mayan cycles, than we have unprocessed evidence and much to discover again about our human past. Culture includes religion, art philosophy, literature, music, dance, etc. which brings satisfaction and pleasure to many. It is the expression of final aspects of life. Civilization includes all those things by means of which some other objective is attained. Type writers, motors, etc. come under this category. Civilization consists of technology or the authority of man over natural phenomenon as well as social technology which control man’s behavior. Culture is what we are. Civilization is what we have. Culture has no standard of measurement because it is an end in itself. Civilization has a precised standard of measurement. The universal standard of civilization is utility because civilization is a means. Culture cannot be said to be advancing. It cannot be asserted that the art, literature, thoughts are ideals of today’s and superior to those of past. Civilization is always advancing. The various constituents of civilizations namely machines, means of transportation, communication, etc. are constantly progressive. Culture is internal and an end. It is related to internal thoughts, feelings, ideals, values, etc. It is like the soul of an individual. Civilization is external and a means. It is the means for the expression and manifestation of the grandness, it is like the body of an individual. The question that continues to evade us….When did we as a society in whole disregard and stop asking the pertinent questions when we were trying to discover the truth about our inquiries? Media conglomerates have discounted coverage about truly eventful stories, and the Internet hopes to free the world of many of those misinformation evils that we undergo but we still continue to face the unconstitutional NSA activities as seen in the USA. This is not by accident if you have not been paying attention. If the evidence is examined well enough, many things just may come to light. Did we dismiss the explanations of others without further examination? Is to rely on the account of others for either a lack of concern, interest, or just that it was easier to believe someone Else’s conclusions a likely reason to stop an effort for a greater understanding? Most importantly, did we stop questioning dogma? The Piri Re’is Map is only one of several anomalous maps drawn in the 15th Century and earlier which appear to represent better information about the shape of the continents than should have been known at the time. Furthermore, this information appears to have been obtained at some distant time in the past. Piri Re’is, Ptolomy (2nd Century A.D.), as well as Mercator and Oronteus Finaeus, well-known 15th Century map-makers, included the traditional southern continent in their world maps, as did others. Antarctica was not discovered until the 19th Century, and it was largely unexplored until the middle of the 20th. This is just the start. Anomalous maps also show the Behring Strait as linking Asia and America, river deltas which appear much shorter than they do today, islands in the Aegean which haven’t been above water since the sea-level rise at the end of the ice-age and huge glaciers covering Britain and Scandinavia. Long dismissed as attempts by cartographers to fill in empty spaces, some of the details of the old maps look very startling when correlated with modern (very mainstream) knowledge of the changes in the Earths’ geography in the geologic past, particularly during the Ice Ages. The Piri Re’is map is most interesting because of the attribution of the source of its information, and the extraordinary detail of the coastal outlines. The Piri Re’is map was found in 1929 in the Imperial Palace in Constantinople. It is painted on parchment and dated 919 A.H. (in the Islamic calendar), which corresponds to 1513 AD. It is signed by an admiral of the Turkish Navy named Piri Ibn Haji Memmed, also known as Piri Re’is. According to Piri Re’is, the map had been assembled from a set of 20 maps drawn in the time of Alexander the Great. This map and others were analyzed by Charles H. Hapgood and his graduate students. Hapgood was a historian and geographer at the University of New Hampshire, in his book Maps of the Ancient Sea Kings (1966). Only the conclusions of this book are sensational; for the most part it is a technical monograph on the history and geography of the anomalous maps, employing spherical trigonometry to associate map features with actual geographic locations. This book has recently been republished, and is highly recommended. The conclusion that Hapgood reached was that a civilization with high seafaring and mapping skills surveyed the entire earth in the ancient past. They left maps which have been copied by hand through many generations. The Piri Re’is map is a patchwork which has gaps (most notably the Drake Passage between South America and Antarctica) which can be explained as non-overlapping areas between the source maps. Maps of the Ancient Sea Kings and Hapgood’s other book, The Earth’s Shifting Crust, in which he advanced a theory of polar shifts, are controversial, and earned him the scorn of offical academia. More evidence has appeared in recent years. Hapgood may yet be vindicated (at least his guess as to the signficance of the anomalous maps). The Piri Re’is map is one of the cornerstones of the growing body of evidence for an unknown Ice Age civilization. Along with this we can include the book Hamlet’s Mill, by De Santillana and von Dechend (1969), and the works of Graham Hancock. However, the best-known feature in the Piri Re’is map (and other pre-modern maps) is the Antarctic coastline. In Hapgood and others’ opinions, this represents the outline of the coast of Antarctica without glaciers. Our modern knowledge of the coastline under the ice was obtained using seismic sounding data from Antarctic expeditions in the 1940s and 50s. Sonar is one way to map the coast under the Antarctic glaciers. The other way would be to have surveyed them when they were ice-free. According to Hapgood, who based the claim on 1949 core samples from the Ross Sea, the last time the particular area shown in the Piri Re’is map was free of ice was more than 6000 years ago. More recent studies show that this may be off by a couple of orders of magnitude. In any case, this geography should have been unknown to the ancients. If this is correct, there are some big mysteries to explain. A number of writers have rushed in and attempted to do just this. One school of thought about the Piri Re’is map is the ‘Atlantis in Antarctica’ thesis. The chief proponents of this are Rand and Rose Flem-Ath in their book When the Sky Fell, though there are others. The Flem-Aths buy into both Hapgoods’ Sea Kings and Polar shift thesis. In the latter, Hapgood claimed that the inclination of the Earth’s axis of rotation shifted suddenly in the year 9,500 B.C. causing Antarctica to move hundreds of miles to the south. This transformed its climate from semi-temperate to freezing. In contrast to the Sea Kings hypothesis, there is no evidence that a rapid polar shift actually occured at this time and much negative evidence that it didn’t. There is no scientific explanation for a mechanism which could cause such a global transformation in a matter of hours without completely destroying the crust of the planet. A planetary collision would be required, of the sort that has not occurred since the early period of planetary formation. If such a collision occured in 9,500 B.C., it is fairly certain that all life on Earth would have been wiped out, which is obviously not the case. While it is not impossible that some instability in the planet could cause the Earth’s axis to change its inclination, this would not occur overnight. Additionally, a polar shift would probably leave an obvious mark in the geomagnetic strata found in sea floor cores, which is not the case. Much has been made of Einstein’s endorsement of Hapgood’s polar shift theory. This proves nothing, since Einstein was not a geologist. Furthermore, although Einstein’s theories have stood up to rigorous experimental and observational evidence, it’s important to note that he was a human being and wasn’t always right. Part of Einstein’s greatness was his ability to admit his errors. This author would also postulate that a greater genius of our time would be Nikola Tesla for obvious reasons. In any case, the Flem-Aths propose that this shift destroyed a hypothetical Antarctic civilization, located somewhere in the present-day Ross penninsula. They attempt (with mixed success) to relate this to Plato’s Atlantis. Unfortunately, proving this would involve doing archaeology under an ice sheet thousands of meters thick. This is an excellent example of ‘extraordinary claims require extraordinary proof’. One subconscious influence on this may be fantasy writer H.P. Lovecraft’s Cthulhu mythos, which places the abode of the Ancient Gods, R’lyeh, in Antarctica. Lovecraft’s mythos is completly fictional, even if it has resemblances to actual mythologies. This doesn’t invalidate the startling landforms, but does indicate that whoever wrote these notes (presumably Piri Re’is) never actually visited Antarctica. Non-skeptics might argue that when the source map was surveyed there could have been 1) large snakes, 2) unknown varieties of land mammals, as well as a 3) “very hot” climate in Antarctica, but there is no physical evidence that this has ever been the case. This also does not explain the other fanciful illustrations and notations on the map, including a sketch of a red-haired headless man (with his face on his chest) in the Andes area. This takes us out of the realm of the possible into the fantastic, a line which Hapgood was careful not to cross, at least in. The Ottoman cartographer Piri Reis published navigational maps in his Kitab-ı Bahriye. The work includes an atlas of charts for small segments of the Mediterranean, accompanied by sailing instructions covering the sea. In the second version of the work, he included a map of the Americas. 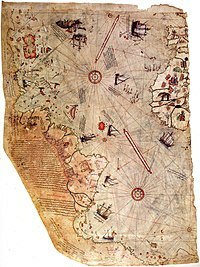 The Piri Reis map drawn by the Ottoman cartographer Piri Reis in 1513, is one of the oldest surviving maps to show the Americas. William Ewart Gladstone, (1809 – 1898) British Prime Minister four separate times (1868–1874, 1880–1885, 1886 and 1892–1894), He had also served as Chancellor of the Exchequer four times (1853–1855, 1859–1866, 1873–1874, and 1880–1882).